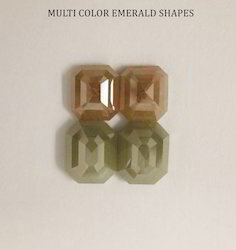 Multi Color Diamond Emerald Shapes. We are successfully ranked as the distinguished Manufacturer, Exporter & Supplier of AA to AAA+ Quality inBlack Diamond Fancy Rose Cutsuch as(Pears, Ovals, Rounds and Cushions)as well asNatural Fancy Colorsin different sizes & shapes with 100% Diamond Guarantee. We are one of the leading manufacturer and supplier of fine quality Radiant Cut Diamond. These Radiant Cut Diamond are good demand in the market due to high quality and elegant look. These products are available in market at competitive rates. Sharply cut corners and perfectly finished edges with rectangular or square shape is the description of fancy cut Radiant Diamonds. The beautifully polished and carved Radiant Diamonds offered by us are appreciated for their magnificent mirage effect in direct sunlight. Their brilliant facet pattern makes them excellent centre stone for rings. We are offering Radiant Cut Diamond to our clients. So as to furnish the ever-growing desires of our patrons, we are engrossed in delivering a comprehensive variety of Radiant Diamond. Trimmed corners are the signature of this diamond, and they help make the radiant-cut a popular and versatile choice for jewelry. A radiant-cut looks equally beautiful set with either baguette or round side-diamonds. 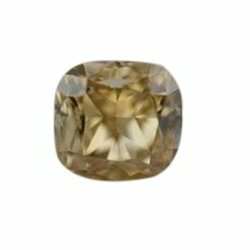 Radiant-cut diamonds can vary in their degree of rectangularity. Emanating a sparkling light, the yellow radiance of this RADIANT LUXURIA YELLOW is an irresistible example of a color that brings on a sense of awakening, inspiration and intelligence adorned in a creation that embellishes its owner with a sublime wisdom. Popular before the princess shape was around, the radiant has more facets than a princess, but has the corners trimmed like the emerald shape. This shape is not widely popular. We are recognized as one of the most renowned Radiant Diamond Manufacturers in India. The inexplicable radiance and accurate cutting has attracted customers from every nook and corner of India to place bulk orders for the Loose Radiant Diamond. We also provide Certified Radiant Diamond in varied sizes and dimensions to meet the specific requisites.